During the War between the Confederate States of America and the United States of America and in the days following the war, the Lincoln administration and the subsequent administration coerced a significant number of Americans into signing an Oath of Allegiance also known as a Loyalty Oath or the Ironclad Oath. Early in the war, Northerners in the military or in the civil service were required to take the oath. With Lincoln’s suspension of habeas corpus (in violation of the Constitution, since that power resides only in Congress and only under specified circumstances) thousands of civilian political prisoners from the Northern as well as the Border states were rounded up and tossed into prison and they too were expected to sign the oath. As the Northern military invasion spread across the Southern states, Confederate citizens were also required to take an oath to a now foreign government. Between 1862 and 1865, for example, about a thousand adult residents of occupied Alexandria, Virginia signed the Oath of Allegiance. Perhaps the most notorious incident of the Northern oath inflicted upon Confederate citizenry occurred during Benjamin “Beast” Butler’s reign over the city of New Orleans. Defeated Confederate soldiers were also expected to sign the Oath of Allegiance to the very government they just fought desperately to be free from. In some cases, even foreign nationals were cajoled into signing the oath, with the threat of longer stretches in a military prison. English sailors were pulled from English ships trying to run the blockade and sent to military fortresses now doubling as prisons. In some cases the sailors were treated even worse than the Northern political prisoners and Confederate POWs housed in the same prison. The English sailors were literally kept in ankle chains, were expected to sleep on the bare stone floors with no bedding and in some cases no blankets or jackets or shoes, and were denied medical treatment. On top of that, the Englishmen were reluctant to sign an oath of loyalty to the United States government because they were afraid that they might lose their English citizenship. Some of Lincoln’s political prisoners flat out refused to sign the oath, since they reasoned that their signature constituted an admission of guilt when they weren’t guilty of anything other than exercising their Constitutional rights of freedom of speech and freedom of the press. Frank Key Howard, the grandson of the famous Francis Scott Key, worked as a newspaper editor in Baltimore and was snatched from his home in a midnight raid by Lincoln’s secret police and imprisoned at Fort McHenry along with numerous other Baltimore citizens. He was removed from his state and carted off to various military prisons, including the infamous Fort Lafayette in New York. Howard spent fourteen months in prison and never signed the oath. He was eventually released unconditionally with no explanation given for his imprisonment or his release. In 1863, he published a memoir of his prison experience, scathingly condemning Lincoln and his administration. Lawrence Sangston, one of many Maryland state legislators also imprisoned with Howard, kept a prison diary, Bastilles of the North, and published it during the war. Sangston was also released unconditionally and without explanation, however, some his fellow prisoners eventually did sign the oath. “. . . two of my recent room mates express their willingness to swear to anything, and are frank enough to say that they do not regard an illegal oath, taken under duress, as having any moral force.” (pg. 88). Sangston not only refused to sign the oath, he also sent a rebuttal letter to the State Department with the opening line, “I have twice taken the oath so support and defend the Constitution of the United States, during the present year, and am not disposed to turn a solemn obligation into ridicule by constant repetition of it.” (pg. 88). The crucial thing is that there were many different oaths administered with different wordings and different provisos but none of them that I have seen (presented above) were an oath to exclusively defend the Constitution. One was simply an oath of obligation not to take up arms against the United States. Most of the oaths included an affirmation to defend the Constitution and the Government of the United States – the Lincoln Government – which is a very different thing from defending the Constitution. Oaths also required the oath taker to ignore any state laws or ordinances even from their own state in spite of the fact that the Constitution was specifically crafted to protect those very same states and the citizens of those states. Another oath required the signers to pledge that they had never supported any “pretended government,” which we can presume means the government of the Confederate States of America. Other oaths demanded that the oath taker promise to support all proclamations issued by the President regarding slaves in spite of the fact that Lincoln’s famous proclamation was completely illegal. Slavery is written into the Constitution and the only way to legally end slavery is by a Constitutional amendment. No president may overturn the Constitution with a proclamation of any kind. In fact, no branch or department of the federal government – executive, legislative or judicial – may alter, overturn, abolish or amend the Constitution in any way. Two-thirds of both Houses of Congress may propose an amendment but only the States may vote to ratify an amendment to the Constitution. Additionally, the State legislatures my convene to both propose and ratify an amendment thus bypassing the Federal government altogether. To this day, the states could legally abolish the federal government as we know it and replace it with something else. 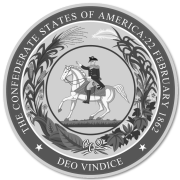 Perhaps the most galling oath of all was administered to political prisoners confined at the Old Capitol Prison in Washington, which not only forbid the prisoners from ever setting foot in any of the seceded states or to even write a letter to anyone in the seceded states but declared that they could not “cause or commence any action or suit against the officers of any loyal State, or of the United States, for causing my arrest or imprisonment, at any future time, so help me God.” (See American Bastile, by John A. Marshall, pg 415). They had to promise not to sue their tormentors for wrongful imprisonment, which indicates that the Lincoln authorities knew that what they were doing was illegal and unconstitutional. The Oath of Allegiance was a flagrant contradiction. No one could possibly defend the Constitution and defend a government – the Lincoln administration as well as the Northern Congress – committing one Constitutional violation after another. Lincoln’s unconstitutional acts are too numerous to list here but Americans North and South were well aware of his treasonous assaults on Constitutional rights and the Chief Justice of the Supreme Court, Roger Taney, publicly censured Lincoln for suspending habeas corpus. Judge Taney could have censured Lincoln for considerably more than that. It must have been absolutely infuriating for the Confederate parolee to have to sign a document declaring that he would “henceforth faithfully support, protect and defend the Constitution of the United States and the Union of States thereunder” along with Lincoln’s unconstitutional proclamations. The Confederate soldier was defending the Constitution – adopted nearly in toto by the C.S. government – and the constitutional republican form of government against anti-American totalitarian tyranny. The Constitution requires exactly one person to swear or affirm an oath, and that is the incoming President of the United States. Article II, section one, clause eight, states: “Before he enter on the execution of his office, he shall take the following oath or affirmation: “I do solemnly swear (or affirm) that I will faithfully execute the office of President of the United States, and will to the best of my ability, preserve, protect and defend the Constitution of the United States.”” The president is not charged with protecting and preserving the Union, the federal government, questionable acts of Congress, dubious decisions of a federal court, unconstitutional proclamations of previous presidents, the wishes of the Republican Party or any political party, or the wishes of the wealthy lobbyists who get politicians elected. The president is charged with preserving, protecting and defending the Constitution. Period. In July of 1865, Augustus Garland, an attorney from Arkansas and a former Confederate, wanted to return to his law practice. Garland received a pardon from President Andrew Johnson, however, he was still required to take the oath before he could practice before a federal court. He still had prewar cases pending at the U.S. Supreme Court but the oath for civil servants as well as attorney’s working in federal courts required signatories to swear that they had never taken up arms for or served in an office of any government hostile to the United States. Garland petitioned the Supreme Court to allow him to return as an attorney for the Court without taking the oath. He argued that the oath was unconstitutional and that his signature on the oath would make him guilty of perjury in spite of the fact that he had already received a presidential pardon. The Court agreed with Garland, and on January 14, 1867, granted Garland an exemption from taking an oath. Although the Court ruled the oath unconstitutional in Garland’s case, the ruling did not automatically extent to the rest of the Confederates, however, the U.S. government eventually let the oath for civilians fall into disuse. Like so many other illegal acts committed by the North of this era, the illegality of the oath – as well as the absurdity of telling signatories to both defend the Constitution and violate the Constitution at the same time – was conveniently ignored, and drifted from the pages of history . . . gone with the wind.